This is a Scout and Guide Campsite and is only open to members of the Scout & Guide movement and to other Uniformed Youth Organisations. When you look at, and maybe, compare our prices to other sites please note that our prices are "fully inclusive"
The only things you pay extra for are Pioneering, Climbing/Abseiling and other equipment hire, all stated on the price list. Opened on 19th June 1965, Hamlet Wood has been providing camping, outdoor activities and training facilities to members of the Scout and Guide movements and other Voluntary Youth Organisations for over 50 years. Hamlet Wood is situated only 2.5 miles south of Maidstone in 27 acres of woodland. 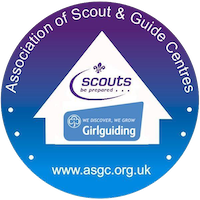 The Camp site and training facilities are only open to members of the Scout and Guide Associations and other Voluntary Youth Organisations and is run cooperatively by the three Maidstone Scout Districts. Hamlet Wood has many different facilities and activities which are available for hire; from pioneering to abseiling and climbing. Because Hamlet Wood is situated in the countryside but still close to Maidstone, the Medway river and the coastal towns there are lots of activities surrounding the campsite such as swimming, canoeing and hiking and many places of interest to visit. Hamlet Wood is open all year for campers, and for use of the buildings for nights away or for training courses. As the Warden and Service Team do not live on site, all camping, activities and access must be arranged well in advance of any visit.